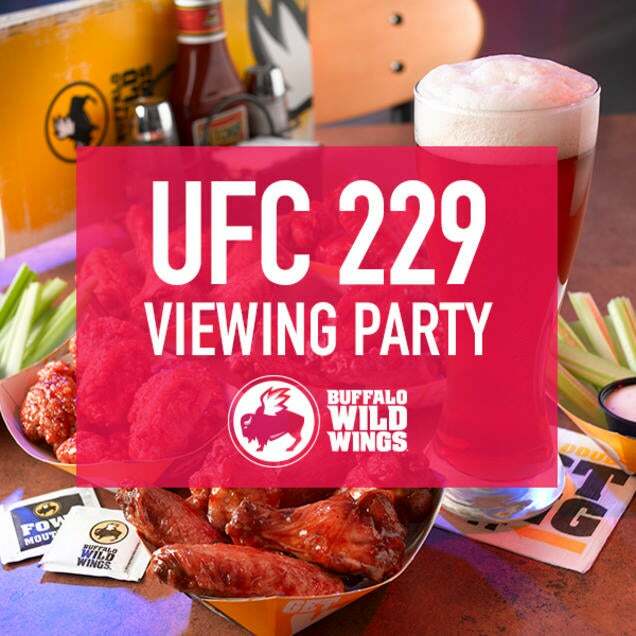 Watch UFC 229 at Buffalo Wild Wings. Purchase of $100 Buffalo Wild Wings Gift Card per person required to reserve a seat. Gift Card can be used for food and drink during the fight and never expires.